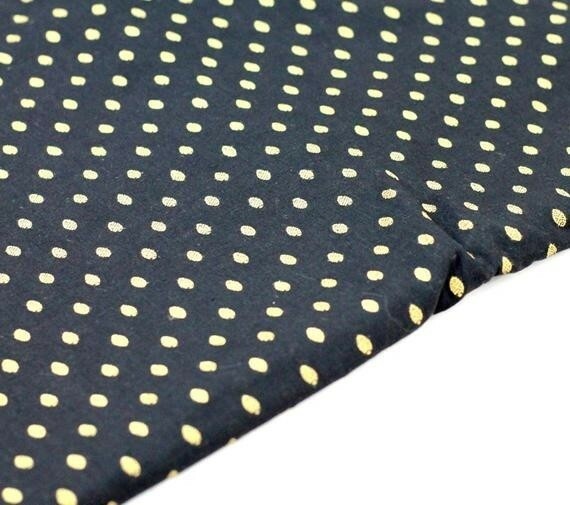 Gorgeous black cotton fabric with woven golden polka dots. - The Fabric is sold by HALF YARD (18 x 42 inches) . - Purchasing more than one quantity will get uncut piece.